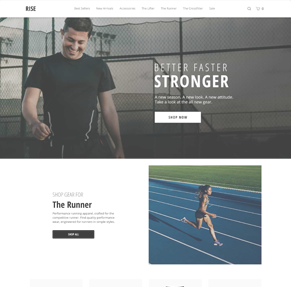 The Rise theme’s striking steel grey and black color scheme sets an impressive tone at first glance, ideal for a business with a no-nonsense approach. 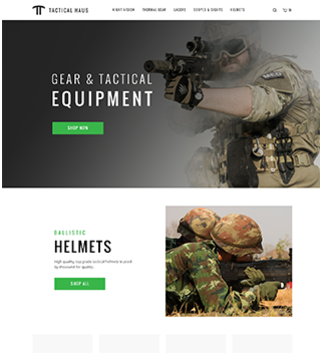 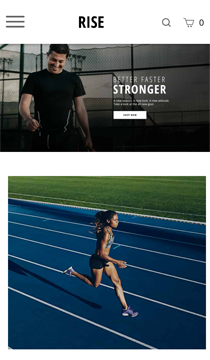 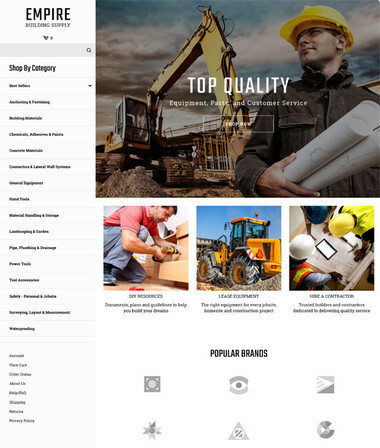 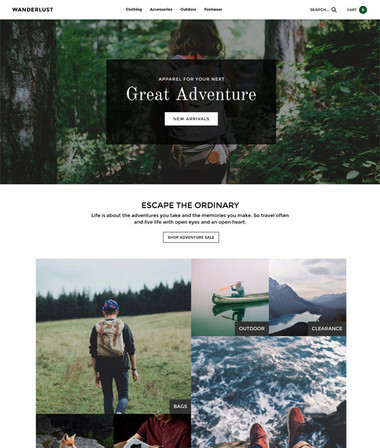 Featuring robust image capabilities, wide top navigation and alternating content areas, this theme’s strong white-on-black call to actions will pop on mobile devices. 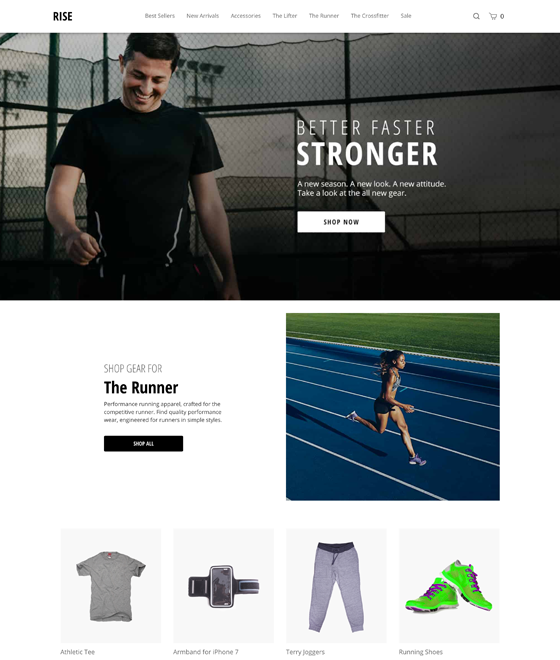 With a preset architecture but full customization, Rise’s modular homepage and category content areas allow you to elevate your store’s brand.